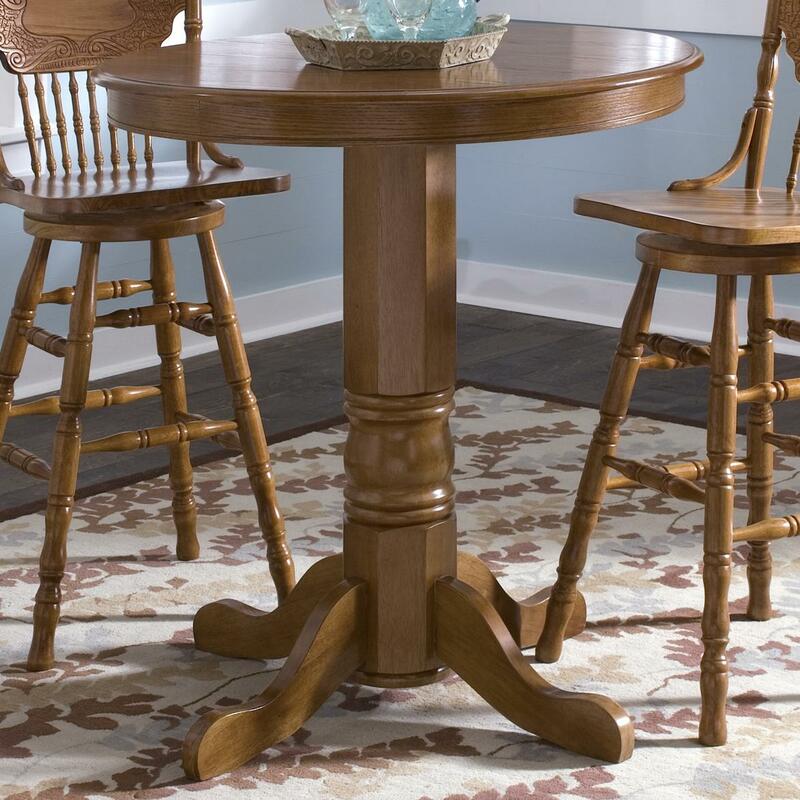 Height (bottom to top) 41"
This charming pub table is perfect for casual kitchen dining. It seats up to four people without taking up much floor space. 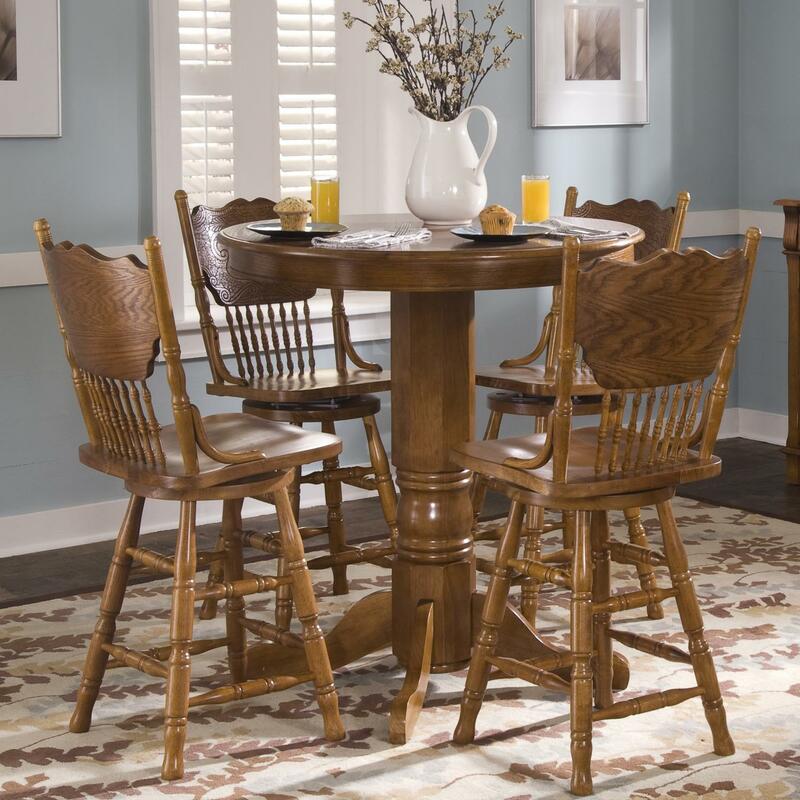 The round tabletop and single pedestal base are sturdily constructed from a combination of select hardwoods and oak veneers. 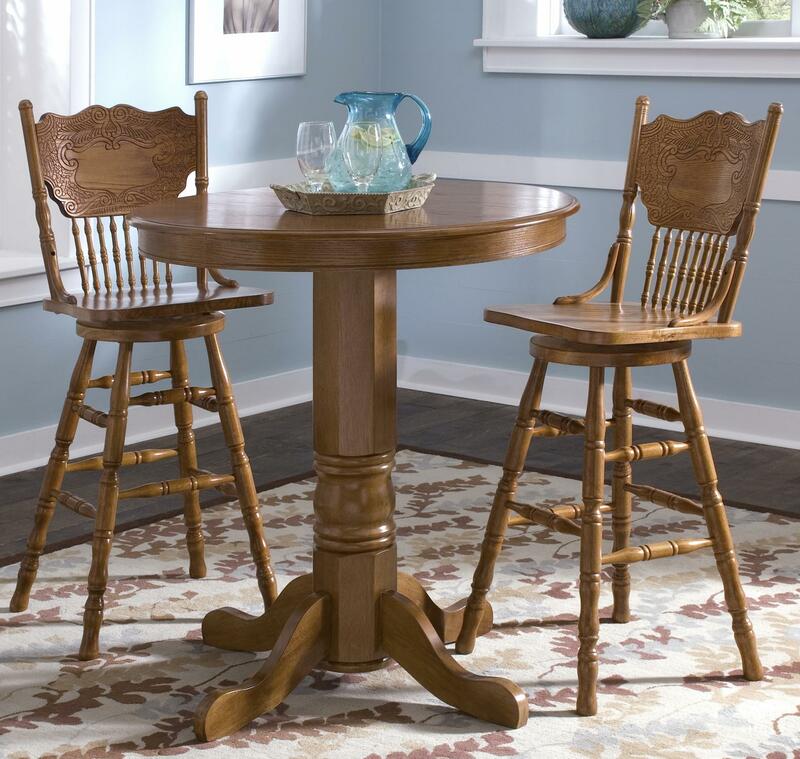 All woodwork is beautifully enhanced with Medium Oak finish.